Overpriced food and accommodation; crowded, dirty streets; peak season traffic jams; overbuilding; and poor service. This litany of woes besetting Kenting, one of Taiwan's most popular beach resorts, has been driving tourists away, but only recently have some of the town's people and stakeholders awoken to the new reality and sought ways to reverse its tarnished reputation. In July 2017, a group of community volunteers that occasionally organizes charity activities and pays visits to seniors felt it could no longer ignore visitors' negative comments and began a movement to clean Kenting Road. 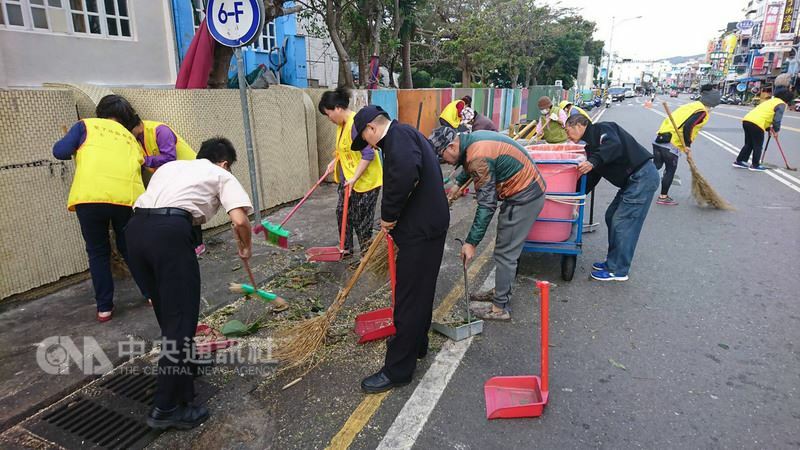 Every day, one of the leaders of the Kenting Community Association, Tseng Chun-hui (曾春惠), leads the volunteers in cleaning the road, the main traffic artery serving the town, which is inside a vast national park on Taiwan's southernmost tip in Pingtung County. 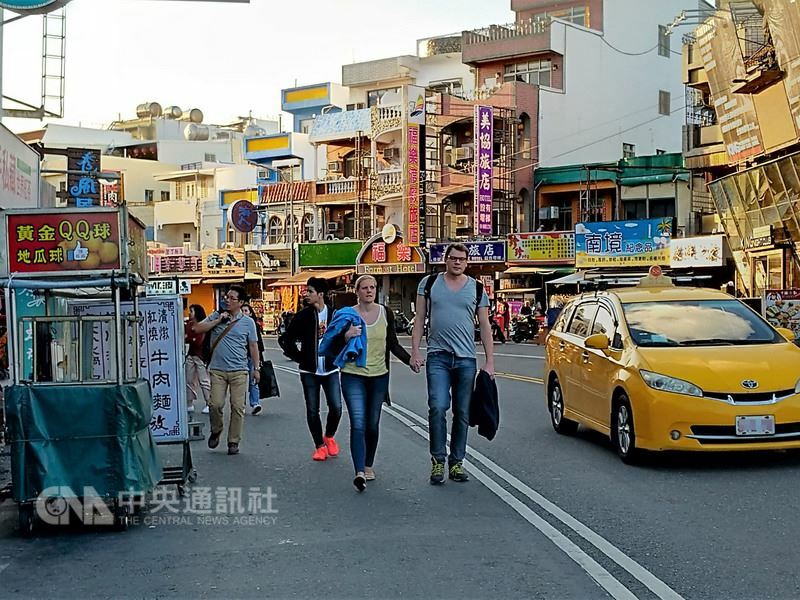 Supporting efforts by police, Kenting National Park Headquarters and the Pingtung County government, the group also works with street vendors to have them stay clear of the main road and leave enough space for pedestrians and vehicles. Though the volunteers are keen to improve the town's environment, however, they are fighting a battle they cannot win on their own given the media-described "avalanche-like slide" in tourists. Visitor numbers to the area have plunged from 8.08 million in 2015 to 4.3 million last year, according to statistics from the Kenting National Park Headquarters. In the first two months of 2018, 571,216 people visited the area, down from 645,042 during the same period in 2017 and 1.2 million in the first two months of 2016. Part of the problem has been a broader decline in visits by Chinese tour groups to Taiwan in general. About 4 million to 5 million people visited Kenting a year prior to 2010, when China began allowing its people to travel to Taiwan for sightseeing, pushing visitor numbers to above 8 million for the first time in 2014. In 2016, however, China started to restrain its citizens -- and especially tour groups -- from traveling to Taiwan due to a new political climate between the two sides of the Taiwan Strait, dealing a serious blow to Kenting's tourism sector. Still, the drop in Chinese tour groups does not tell the whole story. Kenting has also become far less appealing to domestic tourists, something Friendly Dog Entertainment general manager Shen Kuan-yuan (沈光遠) attributes to a "problem of people" rather than the general environment. Shen, whose company organized the star-studded Spring Wave Music and Art Festival in Kenting each year from 2006 to 2015, feels the massive inflows of people earlier this decade led to lower quality services and drove food and lodging costs to unreasonably high levels. That was driven home in December 2017 when a Facebook post by a netizen complaining of exorbitant prices at braised snack stands in the night market on Kenting Road drew widespread attention around the country and resonated as a symbol of a Kenting in decline. The post complained that a plate of braised eggs, soybean curd sheets, pressed tofu and cabbage cost NT$920 (US$32), something that other netizens would have cost a mere NT$300 in the Taipei suburb of Sanchong. Others lamented such issues as the boom in legal and illegal bed and breakfasts (B&Bs), the encroachment onto the main road by street and night market vendors, and traffic congestion in peak season as spoiling Kenting's once-pristine landscape. Frustrated by the overcrowding and high costs, Shen's company relocated the Spring Wave music festival to Taipei in northern Taiwan in 2016 and 2017. But Shen has decided to bring the popular event back to Kenting in May during its low season, just the type of boost the area could use. Showing a certain attachment to Kenting, the birthplace of Taiwan's large-scale outdoor musical festivals, Shen said he hopes Spring Wave visitors can benefit this year from expenses half as high as during peak season and relatively smooth traffic. Besides efforts by the community to clean up the town and the return of the Spring Wave, another positive trend may be the weeding out of weaker players in the tourism sector. The oversupply of B&Bs and hotels in the area resulting from the plunge in visitor numbers has led to some going out of business and others looking to get out of the business. Three resorts and hotels have shut down since November 2017, and Hotel-j on Provincial Highway 26 circling the Hengchun Peninsula has been seeking a buyer since 2015, according to Tourism Industry League of Hengchun Peninsula Chairman Chang Fu-sheng (張福生). In addition, many B&Bs in Hengchun have been posted for sale on real estate trade websites. 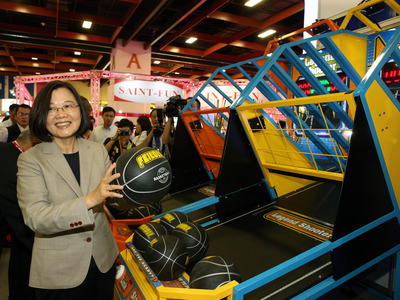 It's a phenomenon that does not bother Chang at all, who says the hotel industry in Kenting is undergoing a process of "the strong surviving and the weak being eliminated," which should benefit the area in the future. At the same time, Pingtung County and local hotels are adjusting their strategies, looking to attract independent visitors from within and outside Asia. The county government has provided incentives to get independent travelers from South Korea, Japan and Southeast Asia, who have helped bridge the gap in Chinese tour groups to some extent elsewhere in Taiwan, to visit Kenting and the Hengchun Peninsula. Calling Kenting Taiwan's only international-standard tourist destination, Pingtung County Magistrate Pan Meng-an (潘孟安) said one of the things his government has done beginning this year is to invite South Korean and Japanese bloggers to Kenting every month to promote it. And as much as Kenting Road may be in need of a makeover, the county chief contends that the area still has places a little off the beaten path, such as Houwan (後灣), Guishan (龜山) and Manzhou (滿州) that are all good destinations in their own right with unique cultural stories and hidden natural beauty. As for the community volunteer group leader Tseng, she is also trying to persuade businesses to lower prices and help restore her town's good name, as challenging of a task as that may seem. Her wish: "We want Kenting to be hot again."